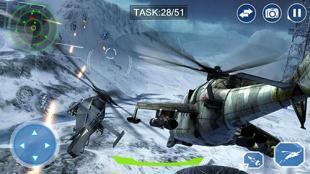 Air force lords: Free mobile gunship battle game - control a modern combat helicopter and complete dangerous missions in different regions of the planet. 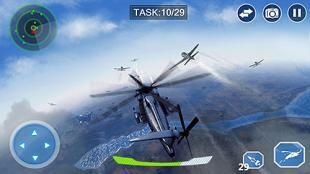 Defend your country in the tensed air battles in this interesting Android game. 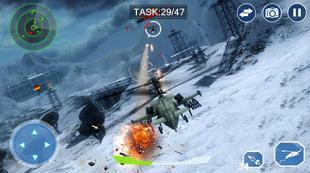 Control a helicopter and destroy ground, sea and air targets. Maneuver in the air and dodge enemy fire. 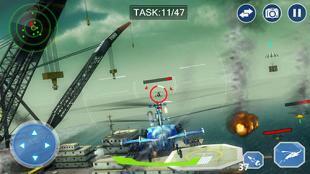 Shoot from automatic cannons, apply missiles and other weapons. Buy helicopters of different models. 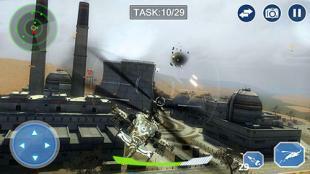 Upgrade weapons and other modules of helicopters. Defeat dangerous bosses.